As cracks in Detroit’s seemingly impenetrable silver lining (aka, the sky) start to appear, it seems that we’re ready to rush out and enjoy the few fleeting and sweet months of Bob Seger’s favorite season. While holing up in a dark, dank dive may have its appeal in the light-deprived winter months, by the time spring hits, it’s imperative to recharge batteries with some sunlight, a patio, and numerous pints. 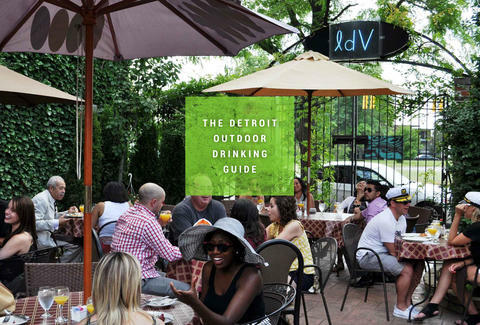 With this in mind, these are Detroit's finest bars that let you imbibe in the fresh (or fresh-ish) air. Watch from the comfort of iron patio furniture as history is made with the light rail being installed right out front. This rooftop patio is a perfect addition to a Midtown outdoor bar crawl. Vegan mumbo-jumbo aside, Seva has one of the most attractive patios in the city and some damn fine cocktails to boot. If rubbing shoulders with ghosts and big spenders is your thing, don’t skip out on cocktailing in the Whitney’s garden this summer. There’s never not a reason to go to The Bronx, so may as well add a small patio as another reason to belly-up here. Ring toss, pie, and live music. What more do you want? We give The Old Miami a lot of attention, and it’s hard to deny the unconventionally large backyard. If you want to soak up suds and sun, this may be your best bet. You and your beer-geek friends can compare notes on the open-air patio at this newly opened Midtown joint celebrating its first summer. 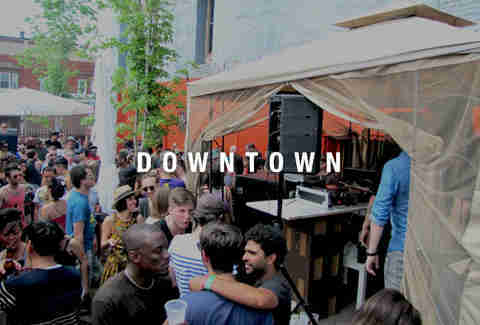 Another old staple for the Midtown outdoor bar crawl. Last but not least. Remember, these aren't in order. This backdoor patio is a great place to hide out from the rest of the world. You’ve probably been shuffled out to the patio before while waiting for a table, but in the summer, you should request it. A sports bar across the street from what used to be Tiger Stadium, this is THE place to go if you want to try and tan those pale Irish legs of yours. This yard rivals Old Miami's in size and hosts a few great parties each summer, as well as the city’s most famous fish fry. 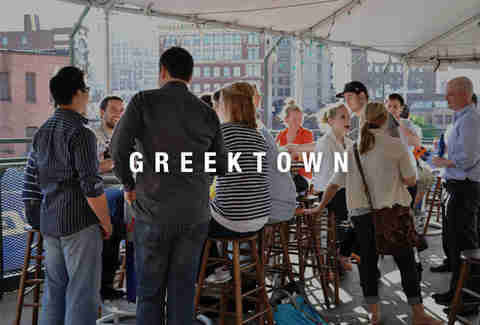 This extraordinarily hip new spot occupies excellent real estate and offers up plenty of patio space for outdoor tomfoolery. It may not win any pageants, but the Lager House’s Tiki patio can be a nice little oasis for catching up with friends over a wide selection of brews. 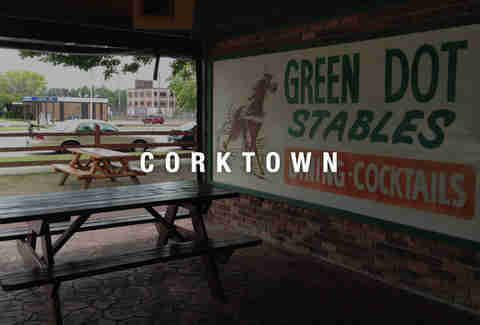 This patio is literally a hidden gem in Corktown. You may have better luck finding a spot on this patio for day-drinking than in the restaurant for dinner. 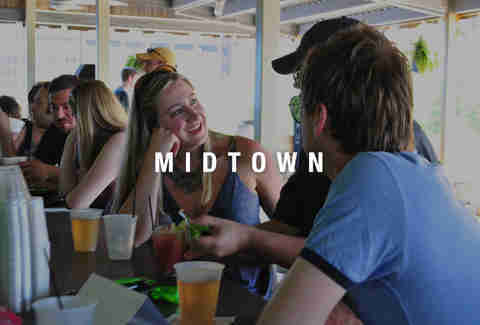 Don't let the suburbanites scare you -- this is a great spot for a drink or four. A very cool yard with live music and booty-shaking. Lots of bros, lots of brews, lots of pre-game, midday sun. If you've never visited Campus Martius in the summer, you may be surprised to find that you can actually sit in a lawn chair with your feet in the sand and enjoy a cocktail in the middle of Downtown. Yes, an adult sandbox with booze and occasionally live music. It's almost as strange as it sounds, but definitely a great place to come and not take things so seriously. With a prime view of Tiger Stadium, this rooftop bar has all the sports-bar charm you need. It's also probably the best place to bring your dad. Very dad-approved. Known for an impressive Michigan beer selection and all things fried, Foran's has a great, albeit small and highly coveted, patio for Downtown people-watching -- inside and out of this character-filled pub. As if you haven’t already made enough bad decisions, there’s always the Old Shillelagh. They have a rooftop -- who knew? This super-swanky joint is newly renovated and has some of the best views of the city at night. If you aren’t good looking enough, read on for more options. A solid fenced-in patio never lacking in excitement -- about as good as it gets in Hamtramck. 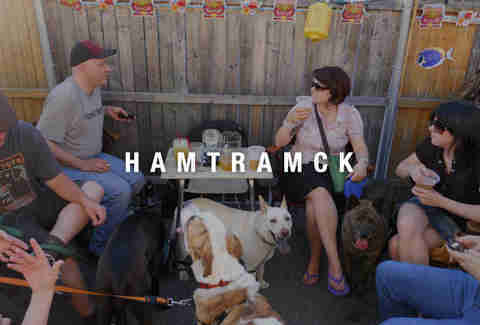 It ain’t fancy, but if you need a space to drink outside in Hamtramck, consider these plastic chairs. Outdoor seating (and volleyball) at an unpretentious joint with excellent pizza. This Southwest culinary delight upgraded with a large patio a couple years back -- perfect for when the tequila calls. A lovely garden ideal for sipping wine, eating brunch, and watching the hardworking streetwalkers along Woodward. Because who would want to drink margaritas inside? If you can’t have fun with outdoor karaoke and barbecue, you simply can’t have fun at all. There is no better place to watch a hydroplane boat crash than the patio of Sindbad’s, a Detroit River landmark, which is also a great place to stop before or after Jobbie Nooner. Vodka makes an excellent disinfectant.